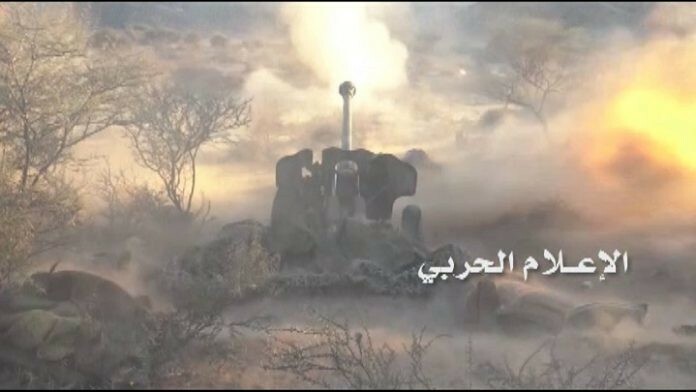 JIZAN, Feb. 11 (YPA) – Artillery forces of the Yemeni army on Tuesday bombed gatherings of Saudi army and its militants in Jizan region, a military official told Yemen Press Agency. According to the official, several Saudi-hired militants were killed and injured in the artillery attack that targeted their gatherings in Khubah district. #BREAKING:#JIZAN:#Yemen army shells coalition’s gatherings in Khubah area. #BREAKING:#SAADA: #Saudi-led coalition fires over 15 missile on several populated areas in Hidan district.